On June 30, 2011 ABetterMemphis.com will host a town hall meeting that will discuss legislation that was passed by State Legislators and Governor Bill Haslam. Some of the bills that were passed will have a direct effect on you and your families. It is imperative that come out to hear, speak and be heard at this gathering. (has it REALLY been a week since I posted? More on that later!) With a doff of the chapeau to SB NATION, we learn that Northwest Arkansas has an actual symphony! And what will they play? What do YOU think? Clarence Clemons, the rock upon which Bruce Springsteen built the E Street Band, has died at age 69 from complications from a stroke suffered on June 12, He was 69, and leaves an amazing legacy. Helluva new blog called TENNESSEE LABOR COVERAGE, they are stirring things up, and apparently not a moment too soon. They seem to be focusing on public sector labor for the moment. Go check them out!. Yeah, I know it's late for FGF, but I'm putting this up any way. The Commercial Appeal commissioned Yacoubian & Associates to poll the city about Mayor Wharton and the 9th CD about Steve Cohen. Cohen had a net positive score of 62 percent among 220 likely voters within the 9th Congressional District — 69 percent approval minus 7 percent disapproval. The poll found 75 percent of African-American women approved of his performance, 73 percent of African-American men, 72 percent of white women, and 53 percent of white men. Of the 221 9th District likely voters considering Cohen’s 2012 re-election, 63 percent said they would vote for Cohen, 4 percent preferred “another Democrat,” 6 percent wanted a Republican and 28 percent were unsure. Yes, we are roughly 13 1/2 months away from the August 2012 Democratic Primary. Yes, more African-Americans will move in from TN-08. I have news for you: Frayser, North Memphis and Raleigh are all in the Memphis media market, and I suspect they know perfectly well who Steve Cohen is and will be delighted to have him rather than the Gospel-Singing Farmer From Frog Jump. Whomever decides to run against Steve Cohen is going to have an uphill battle, because his constituents approve of him and have no current reason to unseat him. If anyone wants to try, good luck to them, because they will need it. Senator Jim Kyle has a new website! I am pleased to inform you that my new website, www.SenatorJimKyle.com, is up and running! I will maintain this website as an up-to-date resource for things happening in Memphis, and to further chronicle legislative matters as they take place in Nashville. Feel free to check in at any time to stay informed and find out how to get involved. In addition to content on the website, I will be sending out periodic updates to you via email, and I encourage you to tell everyone you know to sign up and stay current with Tennessee government. I’m also on Twitter @JimKyle, and on Facebook at www.facebook.com/SenatorJimKyle. If you need to contact me directly, you can do so at Jim@SenatorJimKyle.com. This is a crucial time for Tennessee, and we need informed citizens in order to keep our state moving forward. It’s time to confront the assault begun by the 107th Tennessee General Assembly on women, workers, teachers, LGBT people, disabled people, minorities, people of faith, immigrants and the elderly. 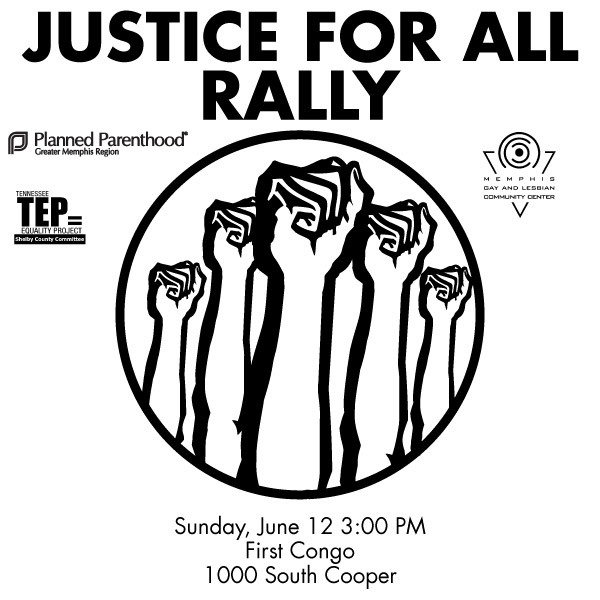 Join fellow advocates on Sunday, June 12, 2011 at 3 PM on the steps of First Congregational Church to make your voice heard. We were promised small government, but got big government intrusion instead. Help send a message that we look to Tennessee state government to promote women’s health, fair labor standards, workplace equality, safe schools, policies that respect people of all faith traditions or no faith tradition, responsible immigration policy, and the right to vote. If you belong to an organization or church that agrees with these values, please encourage your members and supporters to attend by sharing this event by email or Facebook. INFORMATION TAKEN FROM THE EVENT PAGE. CLICK HERE TO VIEW THE FACEBOOK EVENT PAGE AND RSVP. Ross beat me to it. Go read it, right now. On top of that, the Council voted 4-8 against restoring the 18-cents they took out of the tax rate 4 years ago. I supported the restoration, and applaud Harold Collins, Janis Fullilove, Myron Lowery and (gulp) Joe Brown for doing the correct thing and voting for it. Now, Mediaverse has it right when he said that "failing to restore the tax creates a situation where the city believes it must cut when it really doesn't need to cut". The City Council is completely dysfunctional, and have I mentioned that you should read Ross tonight? No wonder they don't want anyone to know what the district lines are. I talked about the disaster that is the UT athletic program back in March, and today, three days before UT meets with the NCAA Committee on Infractions, Mike Hamilton resigned. Her decision to run is not driven by any actions or inactions of Cohen, Hart said. Certainly, she has the right to run. However, in order to challenge AND defeat a popular incumbent in a primary, one must usually have two rationales for getting elected. First, one needs to provide a compelling reason that the incumbent is insufficiently representing the district and HOW the the incumbent is insufficient, i.e, what's he done wrong? Second, you must then show a compelling reason why YOU are the one to replace the incumbent. To this point, she says she will fully develop her reasons later, and that's kind of understandable, as she has yet to file her petition and the actual election is over a year away. However, given Cohen's popularity with his district (his last two primaries gave him over 75% of the vote each time), she might not want to wait all that long. She has smartly stated that race is no reason to even consider changing representatives, and I agree; it's all about the politics and where they stand on the issues. I don't care about color, I care if they are far enough left to suit me. Senior was, Junior wasn't and Cohen certainly is. Ms. Hart, I don't know. The point is, while I understand that she has ambition and a decent record so far on the MCS Board, she will have many questions to answer about why Cohen should be replaced, and replaced by her. This is a Democratic electorate that rarely, if ever, unseats an incumbent in the primary in ANY elected office, much less a Congressional seat, so her work is clearly cut out for her. We'll see if Ms. Hart and her team are ready for prime time!